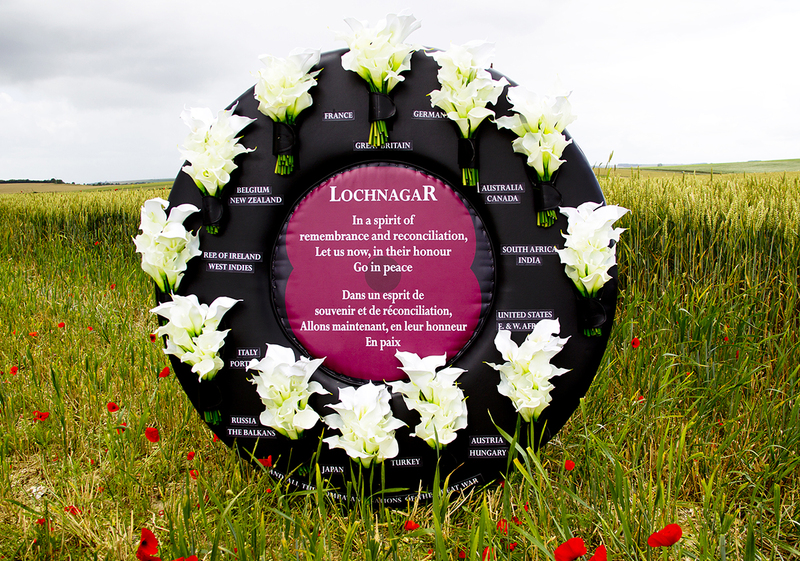 At Lochnagar, with our unique Wreath of Reconciliation, laid during the annual 1st July Remembrance Ceremony, we remember all the men and women who were denied their future, never achieving their potential, with their hopes and dreams unrealised. The Great War was truly global in its reach, the complex alliances of nations and their empires fell into place in 1914. It was even predicted in 1906 that, “a war in Europe… must necessarily set the whole world ablaze”. This prophecy came true to many millions of men and women everywhere. Men of every race, colour, creed and religion came from all the great cities and the smallest villages. They volunteered, were conscripted and sometimes, in the colonies even coerced, to join the great armies of Europe, Africa, Asia and the Americas to serve, fight, suffer and die, often thousands of miles from home. Women paid a heavy price too; the hardship brought by the loss of their menfolk, husbands, sons and brothers. Women served in their own right also; as nurses, factory workers and in jobs vacated everywhere by the men now gone to fight. Armistice and peace in 1918 may have ended the fighting but it did not end the suffering – the loss and grief felt as a result of the many millions who had perished. To be announced on 1st July 2018 (the 40th anniversary of the purchase of Lochnagar) and launched on 11th November 2018 – the centenary of the Armistice. The Lochnagar Crater Memorial was purchased by Richard Dunning MBE on 1st July 1978. If you would like to know more about how Richard came to own the Crater. This awesome wound on the battlefield of the western Front remains a stark testimony to ‘man’s inhumanity to man’ yet its now-peaceful atmosphere is the perfect setting to pause and reflect on the horrors of war.